London, 30 August 2011 – Betclic, a well-established internet casino, poker and sportsbook company in the Betclic Everest Group, has successfully achieved the tough professional standards required to gain accreditation with the independent standards and player protection organisation eCOGRA. 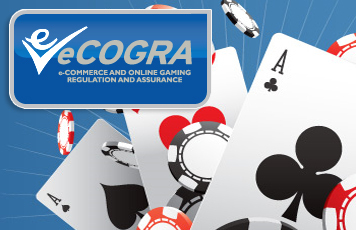 eCOGRA (www.ecogra.org) is a London-based organisation that sets online gambling self-regulation requirements and provides an international framework for best operational and player protection practice requirements, with particular emphasis on fair and responsible gambling. These requirements are enforced through inspections and reviews, and continuous monitoring. Accreditation is open to all software companies and operators. Accredited operators are entitled to bear the “Safe and Fair” seal, indicating to players everywhere that all operational systems and games are fair and continuously monitored to consistently high standards, and that an independent player dispute channel is in place. eCOGRA is also an approved testing agency in various leading online gambling jurisdictions. Created in 2005 by French entrepreneurs, Betclic is the founding brand of Betclic Everest Group. As a leading online gaming operator in the worlds of sport, poker, casino and horse-race betting in Europe, Betclic provides a locally-tailored, easy-to-use offering focused on sporting passion. The company is involved in promoting ethical and responsible gaming on a day-to-day basis, and has also achieved the ISO 27001:2005 information security standard.